For an eSports professional, it’s crucial to have a controller that effortlessly adapts to any situation. Razer's goal was to achieve that - and they went beyond. By optimizing ergonomics for comfort and adding a whole suite of features, they’ve mastered the controller made for tournament play and triumphant wins. Ready, set, rapid-fire - Milliseconds make all the difference when you’re in the heat of battle. For a competitive edge, switch to Hair Trigger Mode. When activated, the mechanical stop-switches greatly reduce travel distance to the two main triggers. So all you need to do is press slightly to instantly launch full rapid fire. 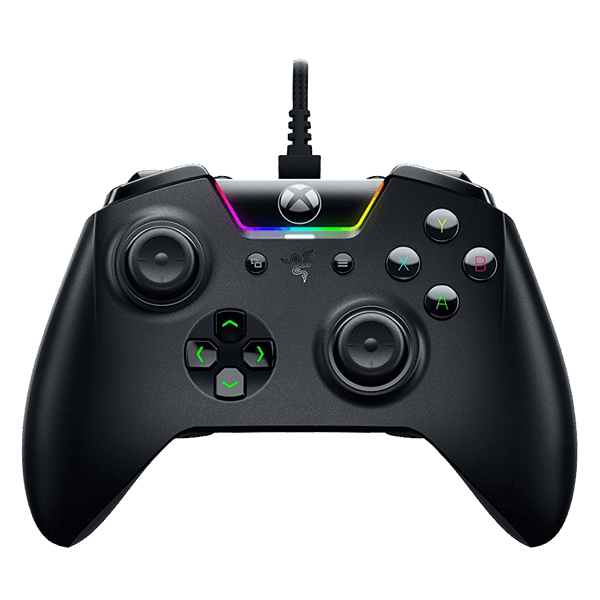 Extra buttons for expert control - The Razer Wolverine TE comes loaded with a slew of extra buttons for advanced gaming - 4 remappable multi-function buttons. Now you’ll have ultimate control at your fingertips, and with the remapping function with Razer Synapse for Xbox, you can master next-level techniques. Light 'em up - Show off your personal style with Razer Chroma’s wide selection of lighting effects and stunning profiles, completely customizable through Razer Synapse for Xbox. Razer synapse for Xbox - Designed for XBOX ONE and Windows 10, the all-in-one configuration software is now a reality for ultimate customization. Assign buttons - Remap multi-function buttons and triggers, and create more than 500 customized profiles to suit different game genres and playstyles. Lighting effects - Razer ChromaTM effects include Breathing, Immersive, Reactive, Spectrum Cycling, Static and Wave. You can also create your own palette from 16.8 million colours. Sensitivity clutch adjustment - Pressing assigned “focus”/“agile” button when moving the thumbstick decreases/increases sensitivity for greater aiming precision or speedy response. 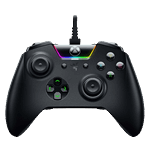 Further adjust sensitivity levels via Synapse for Xbox. Motor vibration - Customize vibration intensity for Impulse Triggers and haptic rumble motors to create complete gaming immersion.